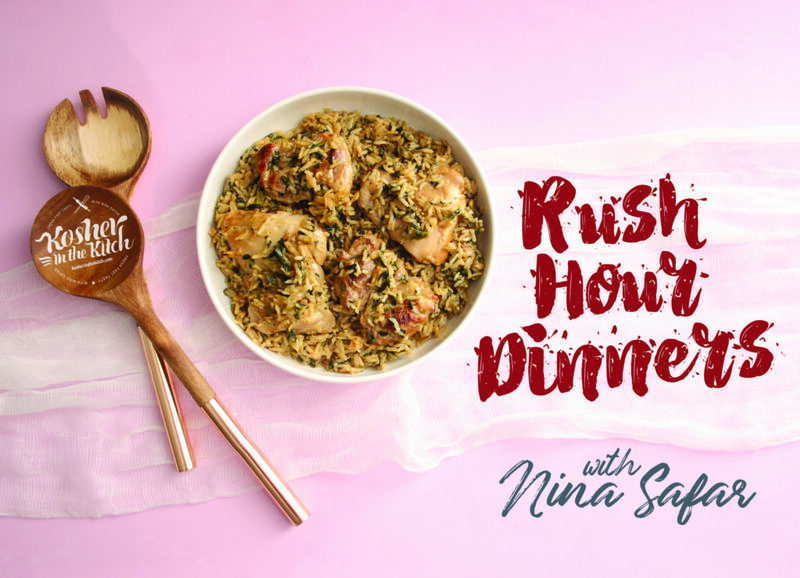 Kosher in the Kitch Cookbook: Rush Hour Dinners! - Kosher In The Kitch! Kosher in the Kitch Cookbook: Rush Hour Dinners! - Kosher In The Kitch! Home / EASY Dinner Ideas / Kosher in the Kitch Cookbook: Rush Hour Dinners! ORDER HERE –>> Kosher in the Kitch: Rush Hour Dinners! I have always loved food and it’s ability to connect people. Family dinners are what kept my 10 siblings and I so close growing up. There is nothing like a good home cooked meal to bring people together, and you don’t have to be a chef to cook a good meal. I created www.kosherinthekitch.com in 2008 to share simple easy recipes with home cooks. No Kosher food blog existed and I was frustrated that us Kosher cooks did not have access to one, so I decided to create one. I had no idea my simple blog would grow to have over 60,000 followers! I love creating new recipes knowing that someone else is going to cook them for their family and enjoy a meal with loved ones. In addition to creating new recipes for the blog, I work with clients developing food content for their products and I travel throughout the U.S. doing cooking demos. The most rewarding part of being a blogger is having these opportunities to connect with people through food. I love sharing childhood memories of baking with my mom and cooking for the holidays and hearing other peoples stories through cooking. We all have a story. Food just helps us tell it better. 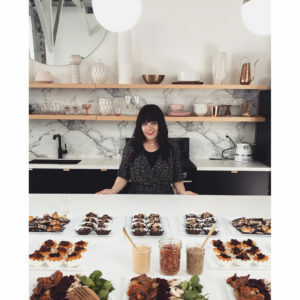 By far the most exciting part of Kosher in the Kitch has been traveling and meeting people through the blog and our shared interest (or obsession!) with good food. When I receive photos of my recipes being cooked (and devoured!) there’s no better feeling. It’s amazing to think how the recipes I cook in my little kitchen in Los Angeles can reach followers world wide in South Africa, Israel, Australia, Peru and the Philippines! I love hearing from you so please be in touch with any cooking questions you might have or recipe requests and if you cook my recipes and happen to snap a photo of it, share it with me! Love the food u cook!